Food Hussy Halloween Recipe: Caramel Apple Bar | The Food Hussy! When you get the call that the troops need you - you answer the call! Am I talking about a military ad? No - my friends at Local 12 said they had a spot open - so I said sure! So here we are - making something for Halloween! And here's the details of how I did it! I like the thought of caramel apples but never understand how you're supposed to actually eat one? I have a hard time eating an apple - let alone when it's coated with sticky good!?! 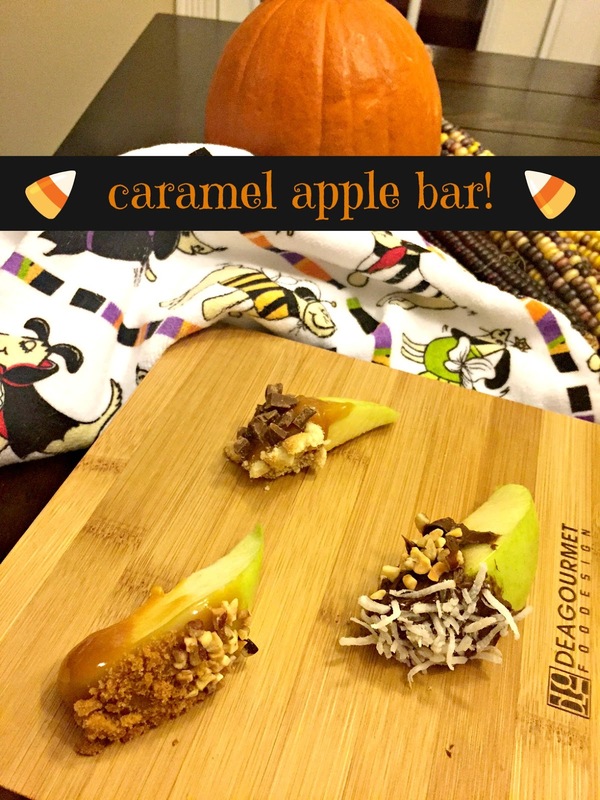 So with a caramel apple bar - you can have your apple and actually eat it too! What to top it with? 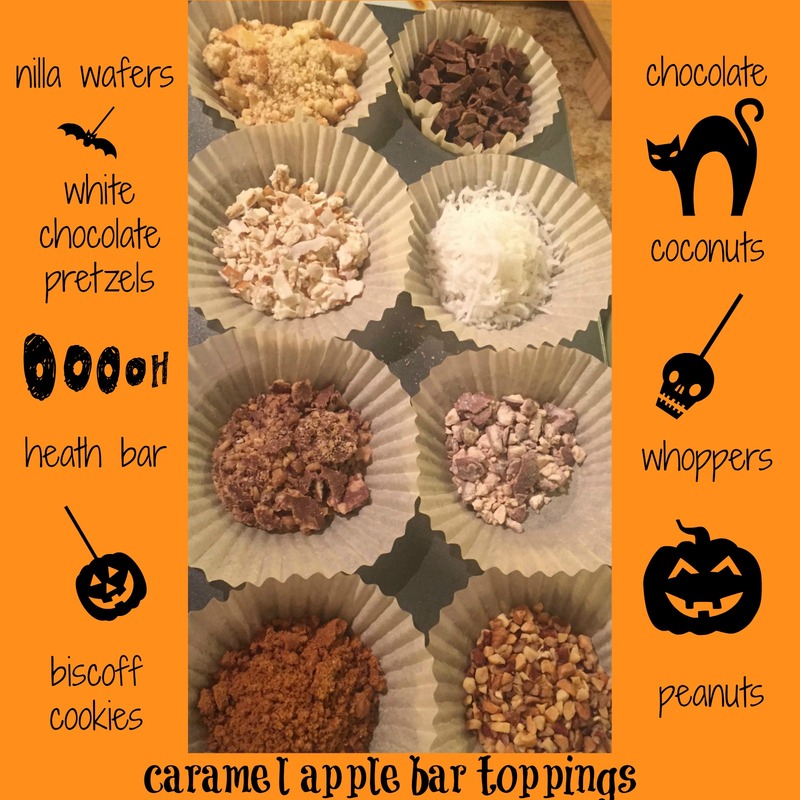 I started with a base of chocolate and caramel and then made a toppings bar with all sorts of snacks from around the house - it's actually a great way to use up leftover candy! I came up with Nilla wafers, white chocolate pretzels, Heath bar, Biscoff cookies, Hershey's chocolate, coconut, Whoppers and peanuts. I laid out parchment sheets and grabbed the hammer! One sheet down - then put candy on top (whoppers, heath, nilla wafers, etc) then another parchment sheet on top. Then smash with the hammer!! And a bonus: you get out some aggressions! The nice thing is - you can make whatever you want and have a different apple with each bite! I even named my wackadoodle bites! For the base I used a whipped chocolate frosting and the caramel dip. 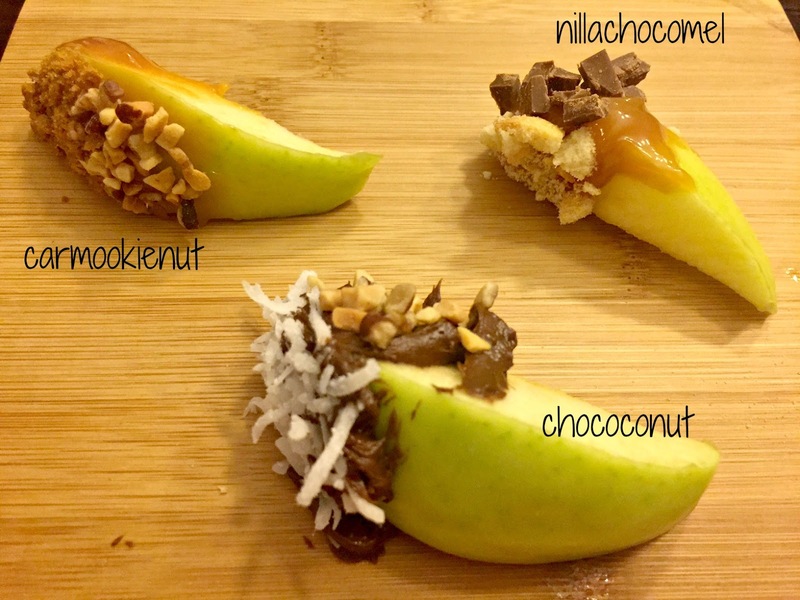 So enjoy caramel apples you can actually eat without losing a tooth!